In early 2018, a handful of young children with severe epilepsy and their families reshaped Britain’s rigid cannabis laws by creating a PR nightmare for the Conservative government. It all started when Alfie Dingley, a six-year-old boy suffering up to 30 seizures per day, was refused a medical license for cannabis oil. Shortly afterwards, UK border authorities confiscated oil from the mother of Billy Caldwell, another epileptic child who had found no relief from standard treatments. The government’s optics on cannabis took a sharp and irreversible turn: with recreational and medical cannabis legislation well established across the US and Canada, denying suffering children treatment suddenly became an intolerably unreasonable position. The public pressure worked. An emergency license was granted for the Caldwells in June, and for the Dingleys in July, followed by an announcement to reclassify cannabis as a schedule 2 drug in November, allowing doctors to prescribe it as a medicine. CBD oil became a legal substance to prescribe and purchase, as long as the THC content is under 0.2% (meaning there’s no chance of it getting you high). 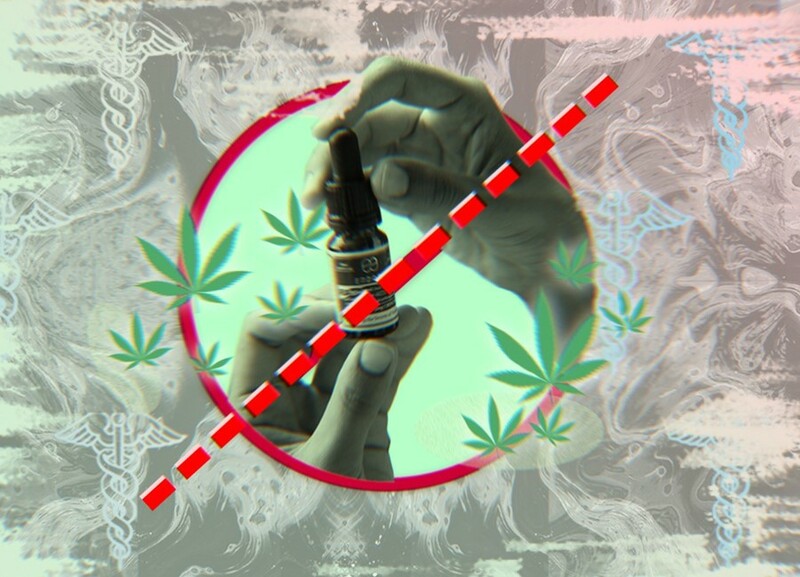 But while you might be able to grab some weed-branded CBD oil from your local health food store, prospective patients are still largely stuck without access. And with marijuana’s confused and controversial history as a substance in the UK, it could be quite some time until the British medical community is truly 420-friendly. Cannabis policy in the UK is largely contained to the past century, but the drug was known to the medical community for at least 60 years before that. Its earliest clinical appearance was in an 1843 medical article reporting of its effectiveness for a wide range of conditions, including cholera, tetanus, joint pain, and – most relevantly – a 40-day-old infant suffering from constant seizures. (The child had needed up to 130 drops of cannabis oil daily; the same paper reported that a willing med student guinea pig consumed only ten drops before hallucinating that he was a king, and ordering his fellow students around.) For decades, cannabis could be easily purchased, and was touted by pharmaceutical companies as a ‘wonder cure’ for menstrual pain, headaches, nausea, and other afflictions. It wasn’t until 1928 that cannabis became a prohibited substance in the UK, when mounting racist fears regarding the drugs’ social influence among people of colour led politicals to criminalise it across occupied territories, and then eventually in Britain itself. Politicians in the late 19th century had become obsessed with what they claimed as madness caused by cannabis in the colonies, or as one MP put it, that the “lunatic asylums of India are filled with ganja smokers”. An official inquiry in 1894 finally proved no link between cannabis and mental health or anti-social behaviour in India, but the British government still tried to ban it four times before the turn of the century. Similar efforts were made elsewhere, with similarly colonialist overtones: the drug was banned in Mauritius in 1840 due to its popularity “among the labouring class,” and in Jamaica in 1913 due to its "demoralising and deplorable" effect on "the natives”. It was a pretty blatant display of social control that soon leaked over into Britain itself, and the moral panic around cannabis landed it an international ban in 1928 by the League of Nations. 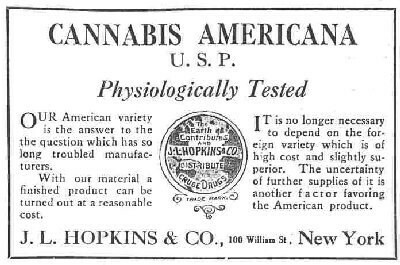 Doctors quickly lost interest, and cannabis became viewed as a moral ill, rather than an exciting medical prospect. It was racism, again, that fueled the government’s second significant move to prohibit cannabis as a Class B drug in the Misuse of Drugs Act 1971. Cannabis arrests had climbed dramatically during the 60s, mostly among middle class white youths, which worried politicians – to them, cannabis was bad enough when being used by people of colour and immigrants, but among wealthy young whites, it constituted a societal breakdown. The author James Mills states in his book Cannabis Nation that cannabis became symbolic of social rebellion in the UK, linking its popularity among the “counter-culture” with resistance to British social norms “at the time when the Empire was in decline and the politics of imperialism were being rejected”. Smoking weed was a way to get back at stuffy British society, and the government absolutely hated it. Britain’s most baffling moment in its relationship with cannabis was the infamous swap from Class B to Class C (in 2004) and then back to Class B in 2009. Labour politician David Blunkett made the change as part of a harm reduction program, but also signalled that he wanted to license medical cannabis as a treatment for multiple sclerosis (MS), and expressed support for general research. That same government put it back up to a Class B in 2009, claiming it was for mental health reasons, even though its advisory board commented that evidence in this area had become “more, rather than less, confused”. Recreational weed smoking had reportedly been on the decline since the reclassification, as had hospital admissions of cannabis-related psychosis, which made the move even stranger. It seemed like the government’s main motivation, clearly alluded to by the then-Home Secretary Jacqui Smith, seemed to be to “send a message” that “the UK is not a soft touch,” regardless of how that affected medical research or actual crime and mental health rates. Modern medical cannabis has typically had an association with ‘quack’ docs willing to dole out prescriptions over the phone for vague claims of back pain, but has been increasingly become a serious area of research, especially over the past few decades. 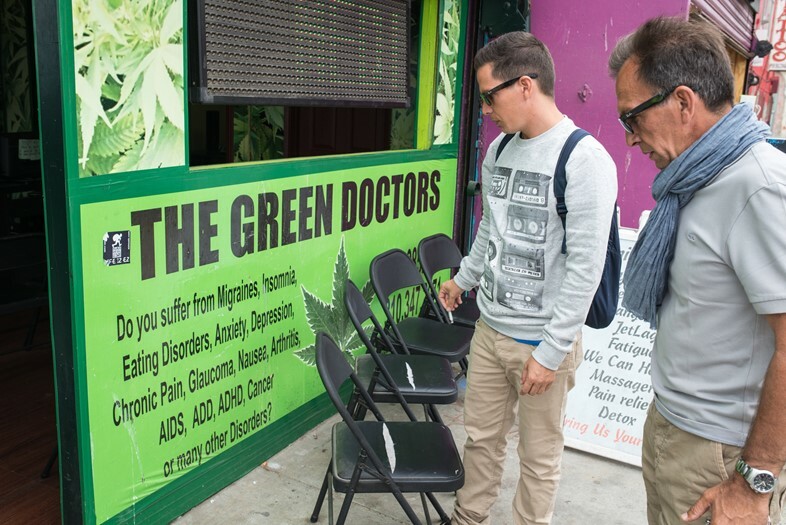 California’s infamous and somewhat sleazy Venice Beach dispensaries are a product of the 1996 medical legislation intended to give Aids patients medical relief through cannabis, especially its nausea-eliminating and pain relief properties. The UK government even gave the green light to a cannabis research facility in 1998, an institution Theresa May personally financially benefits from – her husband’s company is its largest investor. That same year, 1998, the House of Lords called on the government to reschedule cannabis and allow doctors to prescribe it for patients with multiple sclerosis (MS). Chronic pain was and remains a major area of medical cannabis research: chronic pain conditions are notoriously hard to treat and manage, even with opiates, and cannabis has been widely (unofficially) used by patients with conditions like fibromyalgia and MS for decades. A 2014 survey from the UK’s MS Society suggested that around one in four people with MS uses cannabis to ease their symptoms, particularly stiffness and muscle pain. The new laws mean that some British patients can now explore these avenues legally. Sarah, a 30-year-old woman from the UK, uses CBD to manage both her fibromyalgia and her anxiety, purchasing it in an oil pen from online retailers. Prior to the change in legislation, she’d been using codeine, which dulled the pain but made her drowsy during the day and frustratingly unable to sleep at night. "CBD really helps relieve the chronic pain associated with fibromyalgia," Sarah* told me in an email. It’s been so useful for managing pain while reducing side effects, even her doctor has been on board. Not all doctors have been so open to working with patients looking to use cannabis products. Of the approximately 80,000 specialists who are theoretically permitted to prescribe the drug, few have done so. Until official recommendations are published later this year, the NHS position is to look to the British Paediatric Neurology Association (BPNA), who are not especially keen on the practice. The BPNA advise against working with unprescribed CBD oil users like Sarah, and and do not recommend that doctors prescribe products that contain THC (such as Alfie Dingley’s Bedrolite medication). Some NHS facilities have already declared that they won’t prescribe cannabis, either due to lack of evidence, specialists, or funding. When I spoke with Professor Mike Barnes, the physician who obtained cannabis oil for the Dingley family, he called the BPNA guidelines “cautious and negative”, and confirmed what had been recently reported in the recent British Medical Journal: that not one patient has yet managed to obtain a cannabis prescription on the NHS, and only six have been doled out in the private sector. Change is in motion, but it can feel painfully slow for those waiting to benefit from the new policies. On February 20, Welsh Labour MP Tonia Antoniazzi stood up during Prime Minister’s Questions to take the government to task for the lack of access to cannabis on the NHS, stating that “it’s evident that someone somewhere is blocking it”. Professor Barnes believes that while lawmakers are “very open” to the idea of medical cannabis, at least since the law has changed, “the problem in the UK is the doctors... There are some doctors in the UK who are willing and able and listening, and people will begin to prescribe soon, but it’s not going to be fast.” His own guidelines with the Medical Cannabis Commission Society will be published on March 20, and will offer what he hopes will be a balanced, alternative resource for doctors to give them confidence in prescribing cannabis products to patients in need. For all the hesitation from doctors, Professor Barnes is optimistic about what the progress that has been made for the cannabis community in the past year means, and even believes that we might see full legalisation spread across European countries in the near future, perhaps within the next two to three years. The UK’s first medical cannabis clinic opened just this month in Cheadle, Greater Manchester, with Professor Barnes heading it up as clinical director. "We're in a dramatically different world beginning in 2019 than last year," he told me. "Which is good. We've just got a long way to go."